I found an amazing deal at Big Lots on Muir Glen tomatoes! They have the large 28 oz. 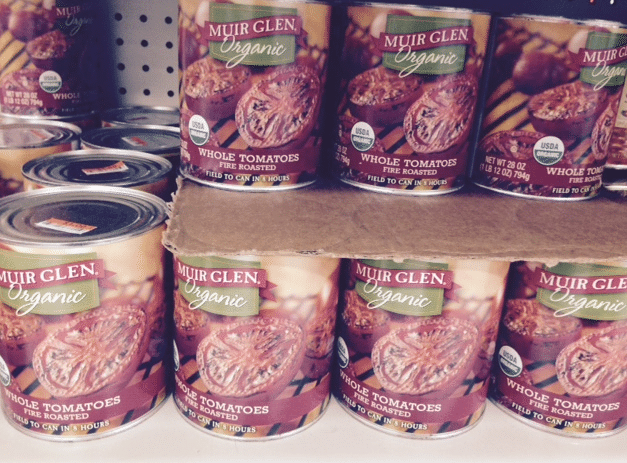 cans (BPA-free) of Muir Glen organic whole fire roasted tomatoes for just $1 a can! These usually go for $3+ at other stores, so this is a great deal! You can stock up, as the dates (at least at my store) were pretty far out. These go great in a chili! Be sure to check out my top tips for saving on organic products at Big Lots here. I have not been to Big Lots in a while. Looks like I’ll be headed there later this week! It’s always a surprise.